There’s a proverb that suggest it is better to “let sleeping dogs lie.” If you have ever awoken to the pitiful yowling of a new puppy at 2 o’clock in the morning, then you can relate to this statement. It happened to my puppy when we brought home Gingerbelle, our golden retriever. The wailing happened the very first night, and the next night, and by the third day, we were on the phone to our veterinarian asking for help. What our dog experienced was actually something very common among young puppies – separation anxiety. Before she came to live with us, Gingerbelle had her Mama as well as all of her eight brothers and sisters around. She never had to sleep alone. If she felt scared or lonely in the middle of the night, then there was always another warm body to cuddle. When you leave your puppy home alone, it’s like leaving her mama all over again. She lacks the cognitive skills to function properly. Instinct tells her to shred the tapestry drapes in the dining room, soil the Persian rug in the front hall, and chew up your most expensive pair of stiletto heels. Other signs of canine anxiety include trying to chew through doors or break through windows, or running from room to room while you are gone. And the behavior could begin within a few minutes after leaving her alone. It might seem like a natural response to lock your dog in her kennel. While crate training helps to a point, it won’t stop your dog’s anxiety-related behaviors. Dogs who suffer from separation anxiety have been known to use the bathroom, howl, or even hurt themselves in an attempt to break free. This defeats the purpose of using a crate to make them feel safe! Fortunately there are things you can do to curb this wayward canine behavior. Instead of coming home to your belongings being destroyed, wouldn’t you rather come home to find that your dog is just calmly awaiting your return? As your dog adopts a routine to help her feel more secure, she’ll give up those bad habits. Here are some tips that you can take to help your dog accomplish that goal. 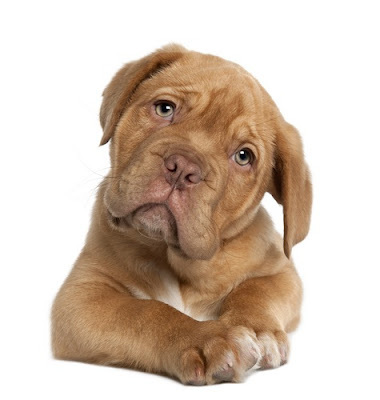 SYMPATHIZE – Show your dog a little compassion. Dogs that show signs of separation anxiety are not misbehaving. They have a real fear of being abandoned by their owner – even if their owner has never given them any reason to feel this way. REDIRECT – Before you leave, give your dog a special treat. You could also save out a special toy, and only put it in her kennel before you head out. What worked for Gingerbelle was a toy filled with treats. She was so distracted by the toy that by the time she realized we were gone, she forgot to be anxious about it. DOWNPLAY – When you depart the house, act like you are just going out to check the mail, or getting something out of the garage. If you act like you're leaving the house is no big deal, then your dog is more likely to adopt your attitude. EXERCISE – Leave enough room in your schedule to take a walk around the block or chase tennis balls in the back yard. Give your pooch a real workout! When she comes inside, she’ll happily flop down in her crate for a nap – and hopefully be too tired to notice your departure. SITTERS – If your family budget allows, you might hire a pet sitter to come stay with your pet during the times when you are gone. Even if you use a PetSafe wireless dog fence in the backyard and a doggy door so your dog can freely come and go, just having a human there is calming. According to the Humane Society of the United States, the destruction and indoor soiling that happens when pets are home alone are both signs of separation anxiety. Believe it or not, your puppy is not trying to punish you. Your dog doesn’t want to do these things any more than you want to clean up the aftermath. But when you patiently work with your puppy, you can help her overcome these feelings. If you feel this job is too big for you alone, ask your vet to recommend a canine behavior specialist to help. Freelance writer Becky Muth shares her home with her husband, their two teenage sons, and their two large-breed hounds. When one of the pups decided to tap into his adventuresome side, she used reviews at www.doggyfence.com to select a backyard containment system that kept him safe without using up the family vacation fund. In her spare time Becky enjoys knitting and reading e-books.